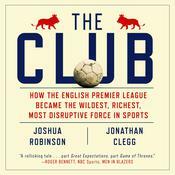 The Club is the previously untold inside story of how English soccer's Premier League became the wildest, richest, most popular sports product on the planet. This is a sports and business tale of how money, ambition, and twenty-five years of uncommon drama re-made an ancient institution into a twenty-first-century entertainment empire. No one knew it when their experiment began, but without any particular genius or acumen, the motley cast of billionaires and hucksters behind the modern Premier League struck gold. Pretty soon, everyone wanted to try their luck, from Russian oligarchs to Emirati sheikhs, American tycoons, and Asian Tiger titans. Some succeeded beyond their wildest dreams. Some lost everything. But the cash they flowed into English soccer lured players, agents, and managers from around the world, turning aging industrial cities and obscurely named clubs into the focus of compulsive global attention. Today, players are sold for tens of millions, clubs are valued in the billions, and games are beamed out to nearly 200 countries, all while the league struggles to preserve its English soul. 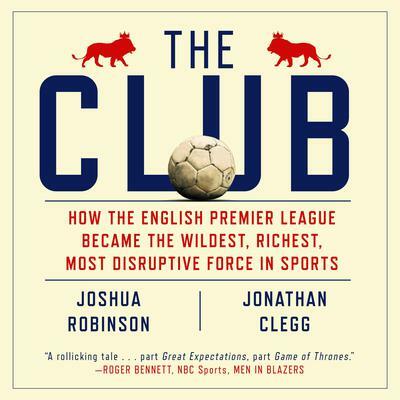 Joshua Robinson is the European sports correspondent for the Wall Street Journal and has written for the New York Times, the Washington Post, and Sports Illustrated. Jonathan Clegg is an editor for the Wall Street Journal. His work has also appeared in the Daily Telegraph, the Independent, and FourFourTwo magazine.